What makes you feel better? What things bring you some comfort? What are your favorite gadgets that make life easier? Good idea: Have your loved ones check back here for Christmas gift ideas! 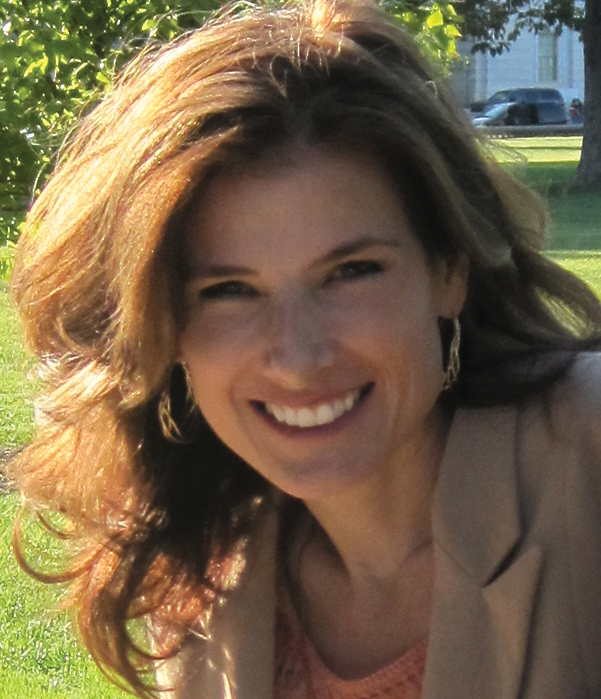 Newly diagnosed people ask about our favorite things that help us. Not whiskers on kittens! A thick rubber cover on the steering wheel! Let’s make a list of our favorite non-medicinal helps. For some, it is an “adaptive device” – there are thousands of them! Look at the first page of JUST jar openers! 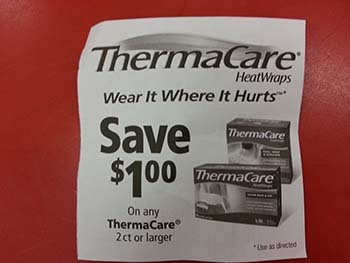 Two devices I can’t live without are complete opposites: ThermaCare heat wraps and gel icepacks! Some of my devices are countless special pillows, easy pillboxes, phone headsets, a Dragon, and cool scissors with springs. 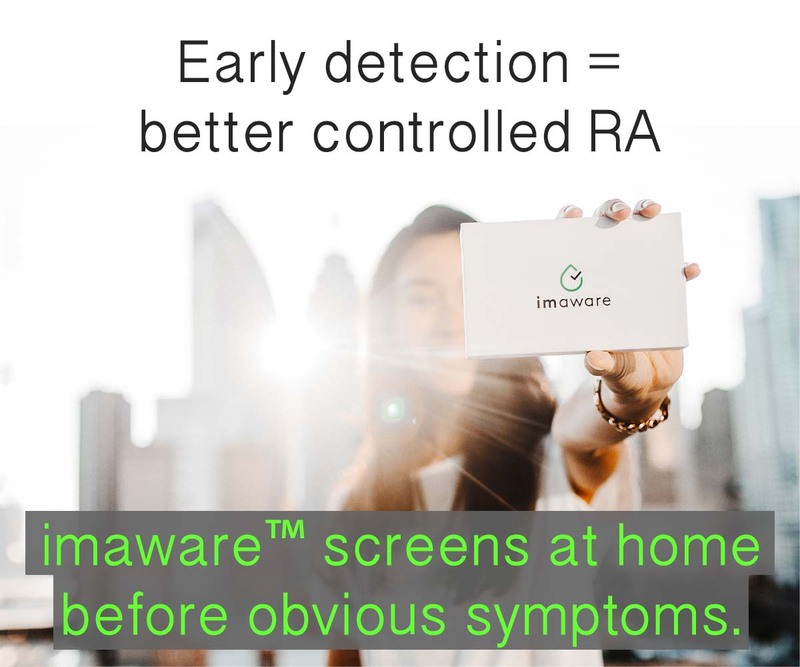 I’ll save my favorite new device for a surprise and post a picture of it for the Big #Rheum Helps Blog Carnival right here on the blog December 19th. Ho Ho HO! Merry Blog Carnival! 1) IF you don’t have a blog, your ideas are still really important and I hope you will post in the comments box right here about your favorite wrist brace or gloves, etc. so others can learn from you. And, we may even use your idea in a future print resource for patients to receive in their doctor’s office. 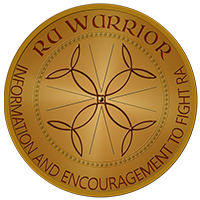 2) IF you DO have a blog, and want to join the carnival, please write a post about your favorite non-medicinal helps or comfort items for living with a rheumatic disease (does not have to be Rheumatoid Arthritis / Rheumatoid Disease, of course). Please wait to publish your post the week of December 17th and link back here to this page so others can participate too! Send me the title and link to your blog so I can include it in the carnival and tell everyone about your great post! If you’re wondering what a blog carnival is, check out some other carnivals on the site here. Happy jar opening, holiday shopping, device blogging to all! And to all a good ice pack! 13 Ways to Help People Living with Rheumatoid Arthritis – with lots more ideas in 87 comments! Alternative therapy–hot wax. I’ve tried all the diet changes with no real effect, but dipping my hands and feet into hot wax–miracles happen! It costs about $150 for a good wax bath machine (get one that can stay on stand-by), and then there is the expense of the wax (since only you use it though you can reuse the wax for a long time), but the cost is worth it. I would recommend that you go to a spa or massage therapist for an experiment before you buy the equipment yourself. Hot wax with a massage on my hands and feet while the wax cools is the best combo for longer lasting relief. Mary people say the hot wax is wonderful & I’ve been day-dreaming about trying that. But I’m worried about the massage part – my hands hurt to move or be touched – that’s why I don’t ever do my nails or ever have them done – I can’t imagine intentionally letting someone massage them – does it hurt you during the massage? My manicurist asked me if I wanted her to massage my hands and arms before she did so. Some days it feels good and other days not so much, but I see the same person consistently, so she knows what my condition is and is ok when I say no massage today. The hot wax is worth what I pay every two weeks (well, along with the Shellac nail polish that dries *before* the massage and wax. My favorite helper tool is the Gopher Grabber. It helps you get things off a tall shelf or pick them up off the floor. I even bought a second one for work. No more bending over to pick up a dropped item and instead of dragging a chair over to my pantry to reach the top shelf, I can use the grabber. I just keep the more frequently used things at the front of the shelf. The model I have folds in the middle, so it’s convenient to store. I would also recommend my battery-powered toothbrush. Oral B is the brand. I enjoy hearing about the creative do-it-yourself helpers. How about some videos on how to make our own? I got my paraffin bath for something like $30 on Amazon, including the wax and mitts. It is Revlon brand and stays plugged in all winter. I like the variable control temperature…I need the wax a little lower temp than average users. Like Kelly, I can’t imagine someone massaging my hands. So I do the wax at home before I watch TV or something. I leave it on for 1/2 hour or so, then peel it off and plunk the wax back in the bath. Mary’s suggestion of the hot wax bath was one that I was going to say, so add my vote to that!! My current favorite “helper” is the use of kinesio tape on my hands. I am a sculptor who works with various types of clays and tools and therefore can’t keep splints or even ace bandages on my wrist/hands while I work. An occupational therapist taught me how to use K tape (Kinesio Tex Gold being my favorite) to give added support to my wrists and thumbs and the occasional finger(s) that is flaring. My work day is followed by the hot wax in the evening and wrist/hand splints at night. wow, I never heard of that. Sounds cool – will have to check it out Carol. Thats a great idea. I have used bicycle handle grips in a similar fashion. They come in sets of 2, perfect for a razor and a potato peeler. My absolute favorite helper is a roll of mesh rubberized drawer liner. I just cut a piece to get a grip on just about anything. It’s my go-to for opening jars and caps, putting under bowls when I bake to prevent slipping, even wrapping around something too small to get a good grip. I even keep a small piece in my purse. My newest love is Plastizote, a super cushioning material that can be cut to put in my shoes. Ahh! Len – go to http://www.thewright-stuff.com/ for the sock tool. It looks really weird, according to my grandson, but it works well. They have lots of wonderful things for us autoimmune people! Anybody know of a store that carries these items? It would be great to find out what is available. I’ve heard there is a device that will help you put on socks, for example, but I have no idea where to find it or what it looks like. My favorite helper is my coffee cup. It’s made by boudin. They make glass insulated drink ware of various shapes and sizes. They weigh almost nothing and because they are insulated it doesn’t matter how hot my coffee is I can hold on to the cup. My stiff and painful RA hands sure appreciate this no-handle, weightless mug in the morning! Kathy – do you mean “Bodum?” I found them on the internet, and had been leery about purchasing, thinking they would be heavy (two layers of heat-resistant glass). I may have to get a couple! Thanks! My favorite helper is my electric sweeper. I can use it on our hard wood flooring and the carpet on the other levels. For some reason it hurts my back much less to use the sweeper then to use a broom or a vacuum. My favorite item is Hothands hand warmers. I use them on my hands and my feet. Sometimes at night my feet are throbbing so badly that I can’t get to sleep and these little warmers seem to interup the pain. I usually double glove my hands or use double socks and stick them in-between the layers. They do get really hot so you need to watch your reaction – I wouldn’t want you to fall asleep laying on top of one. I think that the heat activation is similar to the product that Kelly mentioned but these fit into the palm of my hand or I can manipulate them into covering my fingers or the part of my foot that is hurting. I used them years ago when I was able to ski and the heat can last up to 8 to 10 hours. I saw last month at Costco where you could buy a CASE of Hothands handwarmers. I was wondering who could use that many. Now I know! LOL! great idea, Kelly! I’ll definitely join in. I couldn’t live without my Elasto-Gel cold/hot wrap. Originally came across these in physical therapy and was told I could get them only through online medical supply places; now they are sold on Amazon. They are expensive but worth every penny as they retain their heat/cold longer than any other such device that I’ve tried. I got the large rectangle one as I can use it anywhere on my body – it even has long velcro straps so it stays put. When I get migraines I just take it out of the freezer, wrap it around my head, and lay down – it relieves the pain just enough for me to fall asleep and give meds a chance to work. K-T tape. I buy the new “professional” K-T tape which stays on for more days, at Big 5 Sporting Goods. I like this brand because the strips are precut to a good size, easy to handle, and their website http://www.kttape.com/ has videos on how to tape LOTS of body areas. Even if I use several strips every day (and most stay on for days) it works out to no more than a couple dollars a day. Theramacare pads! I use the “neck and shoulder” ones mostly, because I’ve found it to be the most versatile shape. I use them for SI joint pain, knee pain, menstral cramp pain, you name it. When there is a coupon I always buy a few boxes. I really like the new “arthritis care” ones that last 12 hrs instead of 8. Both work well though. I’ve found if I use them under clothes the 8 hr ones can last 12 hrs (the way they produce heat is by reacting with air…less air uder clothes means slower reaction time). I have a Revlon brand paraffin bath for my hands. Got it off Amazon for something like $30 including all the wax and some mitts to go with. I keep it plugged in all winter. I used to have an under-cabinet mounted electric can opener, which was AWESOME. It was in my old house though 🙁 and doesn’t work in this house. This is a GREAT cheap tool: in the pet food area of any pet store, is a little tool for doing the pop-tops on pet food cans. You slide the slit over the pop top, and pry up. The little tool uses the power of leverage to make it really easy. Mine has a magnet embedded in it so I stick it on the side of the fridge. I use it to open canned fruit and canned soup that have pop-top lids. The tool looks like a little flat bar with curved ends. Costs something like $3 for 2 of them. My kids use it too to open pop top things when they have just-trimmed fingernails and can’t get under the pop-top. I know it not an item but I could not live with out the back up camara on my subaru – its hurts to bad to twist and my neck is to stiff to crabk my head around. oh and those plastic ice cubes they make wonderful ice packs. Something non medical that I have found help ease my RA pain is Bowen Therapy. It does NOT cure it, just eases it!!!! I doubted it for a long time, until I took my dog for treatment and then thought well if I’m having it done on my dog and she is looking relaxed maybe I will try it, I explained what I had and lucky for me Sylvana LISTENED 🙂 and treats me always with it in mind. I’ve become a great fan of scissors in the kitchen—–using a knife to cut food or my hands to tear open a package is just impossible, but a good scissors makes it possible. OXO Good Grips makes a good one with a spring that helps make it even easier.It can be used in either hand. I keep several handy. OXO Good Grips makess a good can opener and pizza cutter too. It is worth finding these to make doing it yourself possible. I use a lot of Oxo Good Grips in the kitchen, they’re great when my hands are stiff and sore. I also just got one of those flat rubber disks that are texturized for opening things and it’s a lifesaver. I rarely have to ask my husband to open jars anymore. When my feet or ankles are hurting I pull out my gardening “kneeling cushion” from my lower cabinet to stand on.The softness of the spongey material feels alot better than hard floor. Thank you, Julie, I will definitely check those out.I’m grateful for any suggestions & love this site which helps us help each other. What I did when I had my 90lb dog who liked to pull: I got a carabiner and clipped it to the handle of the leash, and then clipped it to my jeans loop. Hands free walking, and the “pull” would come spread out all around my hips. Warning: this stretches out your jeans waist…a good thing for me LOL. I used a leash that had an elastic section in it so it would pull and not pull without so much jerking. Plus there wasn’t so much slack to pull up, as the elastic contracting took some of the slack. This m-edge cover for our i-pad makes it so much easier to hold and safer if I drop it. I wish they would make one to fit the Kindle Fire! A friend dropped his in the kitchen and the screen cracked! I’ve been VERY careful with mine ever since he told me. What a great idea Kelly, I can’t wait to read it! It took several weeks of product research (finding ones that wouldn’t just break under the weight) and scouting out a retailer but I finally found them at Home Hardware (Canada). They’re safe for up to 1200 pounds. My local store doesn’t stock them but they were able to order them in for me. Hi Julie, We think alike. I put bed risers under my couch and chair in the family room. I got comments like…”did you get a new couch” to “Boy is this couch comfy”. It is just easier for everyone to get up. Walmart was carrying them when I found mine. I ordered IMAK arthritis compression gloves. They arrived yesterday and I cannot speak highly enough of them already! I found them on Amazon. I have been in the worst, longest-lasting flare of my life, and these gloves feel so comfortable and have eased some of my inflammation already. As an added bonus, they’re not that ugly nobody-has-that-color-of-skin “skin tone” so many of them are. I wouldn’t feel awkward wearing them out. I use the IMAK gloves almost daily. I can’t believe I forgot to list them! I too love them so much. That is SUCH a smart idea! Thank you for sharing it. We have a bunch of medicine balls and if I put them at the foot of the bed they would keep the blankets off. I have a couple pairs of pliers in the kitchen. I use them for all types of pull tabs, and Ziplock closings. Any family member that borrows them knows that they will be in deep trouble if they do not return them. I thought of another help from the pet section. There are some pink disks that can be microwaved that give off heat for 8-12 hours. They are for outdoor pets. But used at the foot of the bed, they are better than a hot water bottle because the heat lasts much longer. They are reuseable indefinitely, and are wipe clean hard plastic. If you look for them, they are about 12″ in diameter, about 1″ thick. Ask for cordless heating for pets. 15 days into a wheat free diet, at first I thought it brought me a miracle, but alas, the pain has crept back. However, I have been much better than I was in early Nov. I was in the midst of an long bad flare. Now, no more nighttime red swelling hands and fingers. Still have the awful jaw shoulder, hip and knee pain. Whatever it takes, I will try it. At my latest rheum appt. this week, the dr. just brushed off that I told her how the swelling at night of my hands has gone away without wheat. Oh well, trust myself and do what works for me. Thats been my latest conclusion. I suppose this is medical. Use a completely free-of-cost fork or meat fork to hold any vegetable you are trying to peel. Especially good for potatoes and carrots. (From a UK RA site.) My hands were so bad at one point, I had given up until I found this trick. Also, keep your knives sharpened. It makes any cutting or chopping so much easier. I handwash and DRY even the cheapest knives, use one of those sharpening rods (that seem to come with every knife set) before I use a knife, and finally invested in a good electric sharpener. People without RAD have no concept of how difficult it is to use a dull knife. I volunteered to carve the Thanksgiving turkey at my brother’s – my hands and arms were useless for the rest of the day. Vowed to bring my own knife BEFORE I volunteer again. And the reader with the tip about rubber drawer liner on a roll is at the top of my list. Dollar store favorite. I have squares stashed all over the house to open all kinds of containers. Automatic soap dispensers and toothpaste dispensers saved me when I couldn’t even push the pump on a soap dispenser or squeeze the toothpaste tube. There is a blister pack pill popper (shaped like a cat silhouette)- great for all the Prilosec you have to take because you are taking so many other pills! Search on Amazon for ‘assistive devices’ – many cam be purchased on eBay for less. It is far better than a cane. It allows me to distribute my weight across my forearm and not put it on my wrist and hand which have very active disease. This has decresed the pain in my hands by 50% and added to my mobility. A bit spendy, but I have found it to be well worth the cost. I think for me some of the best things I’ve found to help are: Essential oils, Biofreeze, using the microphone vs typing on my phone for texting, etc, Shakeology, my heating pad and a patient and supporting family. I bought a ball for my steering wheel in the car – really helps with my shoulder’s range of motion issues. I love my electric toothbrush, we should all have one! In the kitchen, really sharp knives – I bought a ceramic knife, an electric can opener, a good jar opener – I have a picture of mine if anyone is interested – found it recommended on another arthitis website and it’s the bomb. I’ve asked for one of those tiny handheld mixers for Christmas – mine has become heavy and uncomfortable for my shoulder. I love my whatever you call it that goes in the microwave and heats up to go on whichever joint is hurting most at the moment. Mine is shaped so it will sit nicely on your neck and shoulders. One of the best gifts I ever received. I also bit the bullet and hired a cleaning lady – her Mom has RA and when I told her that was why I had decided I needed some help, she said she understood how hard it was because of years of watching her Mom struggle with the disease. I almost cried. (A great gift for anyone might be a Merry Maids certificate!) Better than all of these are friends and family that understand and help. Friends who will open that water bottle for you without teasing or being asked, who reach for and open the heavy door. Family who are there to help you with heavy tasks, lifting or moving what you can’t, making allowances. The best assistive device is a good support system; all the people who love and care about you. I love ALL of these! Especially the ball on the steering wheel. Things that I find invaluable are heat packs, “Peas” ice packs, paraffin wax bath, portable ultrasound unit, Co-Flex bandage, Compressive clothing, hot tub spa….all of those bubbles have a massage action. Jar openers, helping hands, various supporting splints, compressive gloves. I carry most of these items with me everywhere I go, because RA doesn’t recognize schedules. I read that the Imak gloves were helpful as well. Received my first pair last week and never took them off. I love those things and they are much more “fashionable” than those fleshy colored awful things. Ordered my second pair already. About $13 on amazon and got them in two days. I have been making these for years, and they are wonderful, cheap and lasts for a long time. I make “corn bags”. I sew a bag out of a cotton fabric and the lining is muslin. Usually the best size is about a 11″ square. (but I have made rectangles also) I sew it around all sides leaving an opening to fill with field corn. Turn right side out, once filled, hand sew the opening. I get the corn at a feed mill or from a farmer. It is best when the corn is free of any cob or dust. Place it in the microwave for 1-2 minutes depending on the size. These stay warm for hours. It is a moist heat. If it looses it’s moisture, place a cup of water in with it when you warm it and the moisture will return. I have probably made 2 bushel of these for family and friends. I have 4 myself, hubby steals mine during the chilly nights. The grandkiddos have had them since they were toddlers and still take them to bed in the winter and they are teens now. Great for the aching joints as it is a moist heat. Have fun with them and share with your friends and family, they will love you. My favorite thing to ease my RA pain is to soak in a hot tub. I also have Raynauds so the hot bath is a double whammy. Deb, I, too, have Reynauds. My rheum doc gave me a very simple comfort thing – drink a hot drink – as hot (temperature) as you can stand. After about 3 swallows, my hands and feet are warm and toasty. After about 6 swallows, my whole body is warm. After I finish the mug of hot drink, my whole body is not just warm, it is sweaty! And I stay warm for about half an hour to an hour. If I bundle up or go to bed immediately, I stay warm even longer. It’s a great way to fight cold weather. I remember being given hot soup, hot chili, hot cocoa, etc, on cold days when I was a child and had just come in from playing in the snow. Guess Momma and Grandmomma knew best! My husband just bought me Gel Pro comfort mats for my kitchen floor. They are a real help for standing at the stove and the sink. I don’t know how I lived without them! Fyi – people with RA should never use heat packs. They actually make inflammation worse. Even if it seems to feel good initially it is contraindicated by many doctors. Cool packs work much better at reducing inflammation. Animal therapy! I own three donkeys and numerous goats. donkeys like a hug and sometimes just standing with an arm around a donk, face in their fur, is enough to make you feel happier. Watching goat babies is another mood lightener! 1. Fingerless gloves. My mom and sister have knitted several pairs for me and they help keep my hand warm and a little more mobile, and also cushion my joints when I pick up or carry items. 2. Electric Blanket. This really helps on the days that I am just hurting all over. It eases the pain, makes my joints more mobile, and helps me sleep. 3. My commercial grade paraffin bath for my hands. This is especially useful during flare-ups. As an added bonus, it helps moisturize my skin, which is super-dry as a result of Sjogren’s. Hope you get some amusement as well as, perhaps, a new idea or two! The time I spend in my hot tub is very therapeutic! A British friend bought me one of those big red hot water bottles and knitted a cozy over it. I fill it with very hot (not scalding or boiling) water, use rubber gloves to get the top to screw on tight, and use it where ever it hurts. It stays cozily warm for hours. Two things. I second the hot tub suggestion…very nurturing. The second one is car keys – or rather, not car keys. Last year I bought a new (used) car. It was new enough (2010) to work everything without using my key. It just stays in my bag – if I stand next to the door, it unlocks and then when I sit in the car, I can start it without the key. No twisting and turning the key, which is sometimes very difficult on the wrists. I know not everyone can get a newer car, but if you are, look for that feature in it. Happy holidays. I just got new orthotics last week. I can’t believe the difference they make. I walk better and my knees and legs don’t hurt when I walk now. What a relief. They were made by Hangar, a company that makes orthotics and prosthetics. They have clinics all over the country. Their company made the prosthetic tail for Winter the dolphin. I was sent to them by my podiatrist. I have so much better balance now and I feel like I have part of my life back! Your suggestion of a platform cane is similar to what I used while in the nursing home. I was there for rehab from 2009-2011. I had to learn to walk again after a fall left me unable to stand. That along with multiple infections landed me in the hospital for 11 months and off of ALL RA meds, including the 20mg of prednisone I was on daily prior to that time. Due to being off of RA meds, I ended up with my hands curled into loose fists, my wrists bent toward to underside of my arm, and my elbows bent so that my hands rested on my collar bones. As I was laying in bed all that time, my ankles extended so that my toes were touching the bed and then my toes curled under. Getting my ankles to where they would flex so that I could put weight on them was a bit uncomfortable. It took my PT hours of sitting with my foot on his knee, as he bent my foot, trying to stretch the tendons and loosen the joint. He got my feet to where I could stand in just shy of 3 months, and had me walking by about 3½ months. We began in the parallel bars but then I moved on to the platform walker, then a regular walker and finally to forearm crutches. The forearm walker was great because it kept me standing up straight. Even with the regular walker at the correct height, I had a habit of bending a bit. Then my back would end up hurting. When I first switched to the platform walker, my PT had to hold on to a gait belt that I was wearing for my safety. Every so often, he’d notice I was kind of hunching my back and would find that I was also pulling on the gait belt. So, he’d point it out to me and I would stand up straight. After I switched to the regular walker, my back was hurting for about 2 weeks. But the platform was so helpful because at the time, I was still dealing with one contracture in my left hand. My ring finger and pinky were still contracted quite a bit and so grasping a walker grip, crutch grip, or a cane grip was somewhat painful because it made my ring finger and pinkie bend more than they comfortably could. So I only had my thumb, index, and middle finger grasping the walker and that was not enough to feel as if I had a good grip. The platform allowed me to put weight on my forearms rather than my hands. It was such a helpful thing. 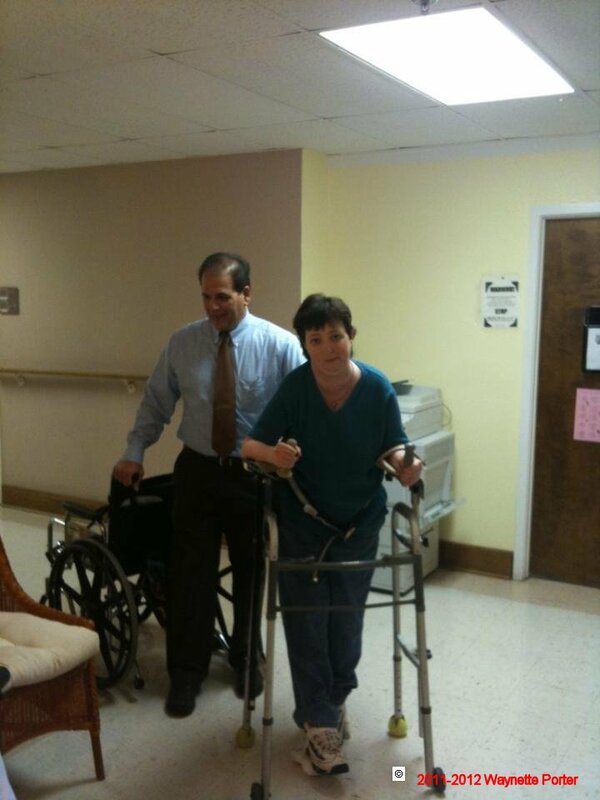 This is me walking in May 2011 with the platform walker. I’ve read them same about not using heat packs because they exacerbate inflammation. But I also know a number of people with RA also have Reynaud’s and using an ice pack would be extremely painful for many of them. While I have not been diagnosed with Reynaud’s, my hands and feet are cold quite frequently. It can be +90° out and I will be warm if not dripping sweat and yet my hands will be cold. Ice quite simply hurts when I use it. I had my pain doctor do an RFA on the right lumbar area and of course he recommended I ice the area. So I tried it. It caused not only the joints that I iced but also the joints on the left lumbar area to hurt. I’d had RFAs before and never had the side opposite the one my doctor did the procedure on hurt until I tried the ice. I told him about it the next time I saw him. I was having an RFA done on the left side and wanted to know if I should go ahead and use the ice because of what had occurred with the last time. He said there was no point in using the ice IF I didn’t have much injection site swelling if it hurt that much. I’ve used ice various times on sore joints over the course of over 28 yrs with RA. I know at times the body can change and be able to get relief from something that didn’t help in the past. But for me, using ice has always been a painful experience. As my pain doctor and I discussed my reaction to using the ice, he said he normally would recommend ice to people with RA but for me, he’d say stay away from it. When I discussed the issue with my rheumatologist and explained how much ice caused me to hurt in other joints around the one I was icing, and it did nothing to relieve pain in the joint that hurt either, he said not to use ice any longer. So I asked him about the issue of reading that heat just exacerbated inflammation. He said it generally does, but that we also need to do what makes us comfortable. He told me if that meant using heat, then I should use heat. The idea I got from speaking to both doctors was that it’s a generalization. But what stuck with me most was the fact he said that I needed to do not what “they” said (meaning the authors of what I’d read) but what made me most comfortable, what helped MY pain most. Since pain is so different from person to person, what helps one is extremely painful to another. I am sure I do things that would cause others to hurt, just as other do things that if I were to even begin to try I’d wind up in bed, writhing in pain for days. That said, if heat makes you worse, then by all means avoid it. If cold makes you feel less pain, then use that. But if heat makes someone feel better, then they ought to do what feels good to them. I am almost done with my blog post on what helps!